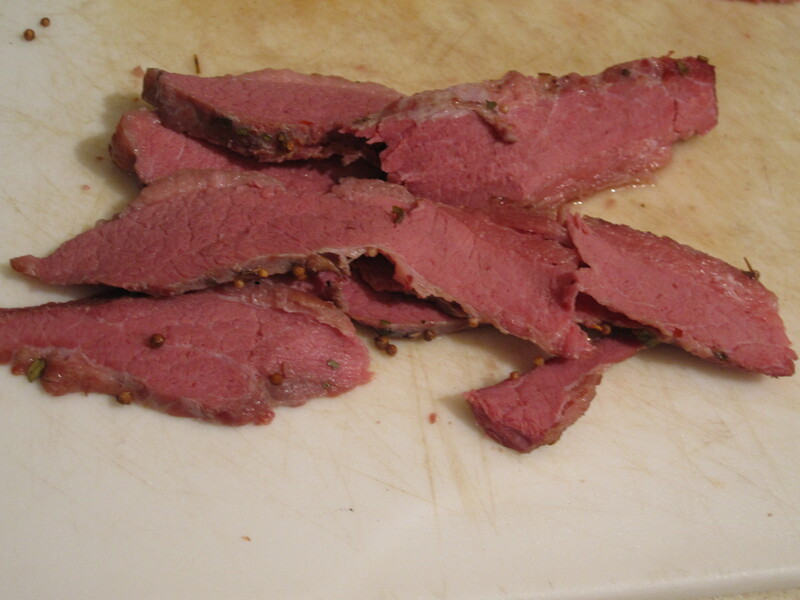 A good thing about St. Patty’s Day, and especially March 18th and on is the surplus of corned beef and the reduced prices after the 17th. I always get one each year and this was no different. 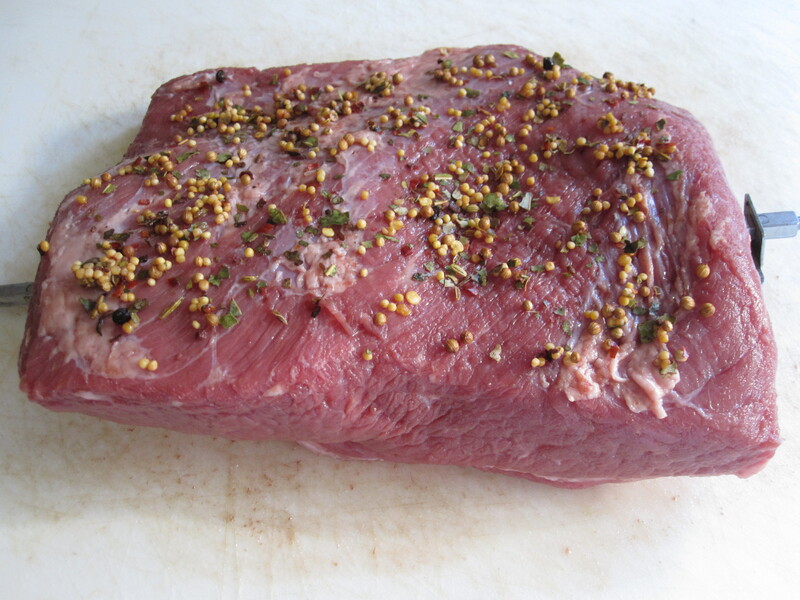 In recent years I have been rotissering (and making up words) the corned beef which turns out more like a lunch meat texture than a pot roast if boiled. Served with some roasted cabbage and made a few lunches also. 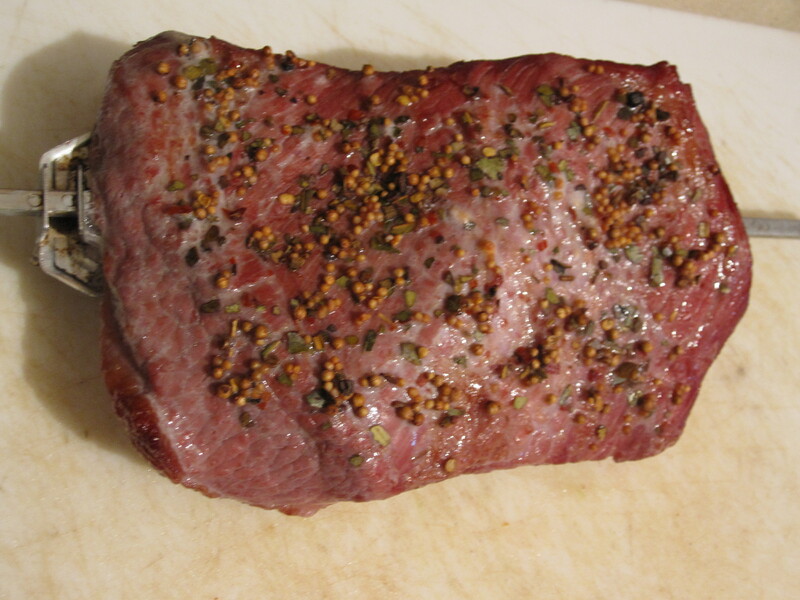 Starting with the corned beef itself which comes with a seasoning packet. 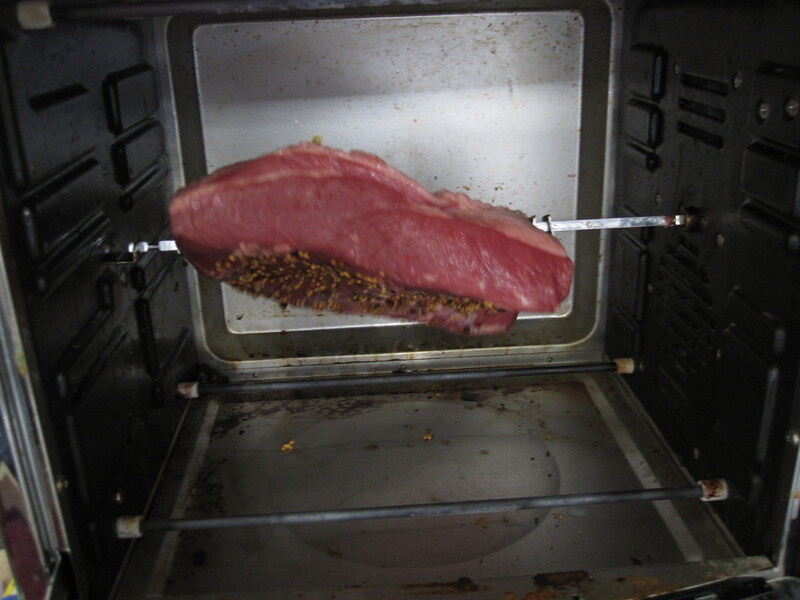 I speared it on the rotisserie skewer and tried to balance it as much as possible. I have always had some trouble with this rotisserie. It is a Hamilton Beach, name brand and all, but poorly designed. The claws on the skewer are only about an inch and a half wide which is fine with a solid piece like this, but easily fits inside the cavity of a chicken. I have tried many times, but don’t use it much more because of this major flaw. Keep that in mind if buying a rotisserie. Anyway, I balanced this as best as I could, covered it in the seasoning, and sent it into the rotisserie for almost 3 hours. 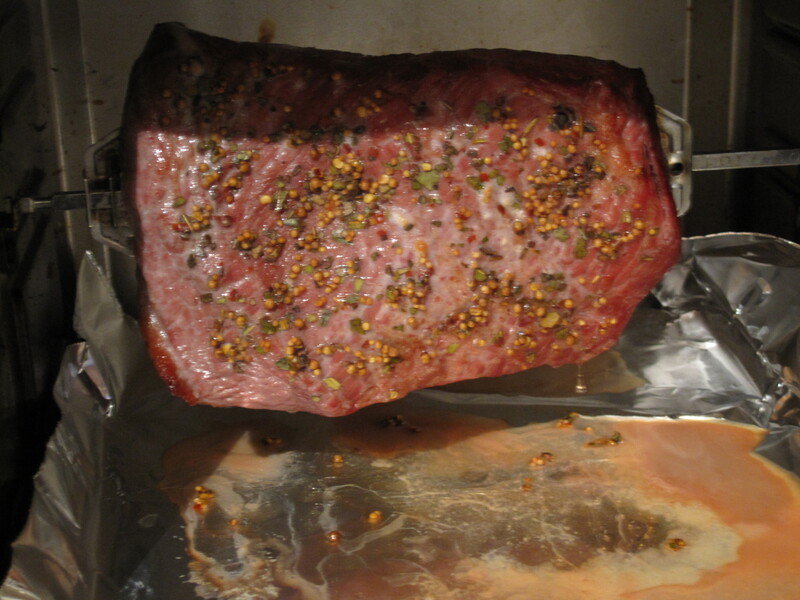 The seasoning stuck much more than I thought. Always be sure to slice across the grain with a cut like this. 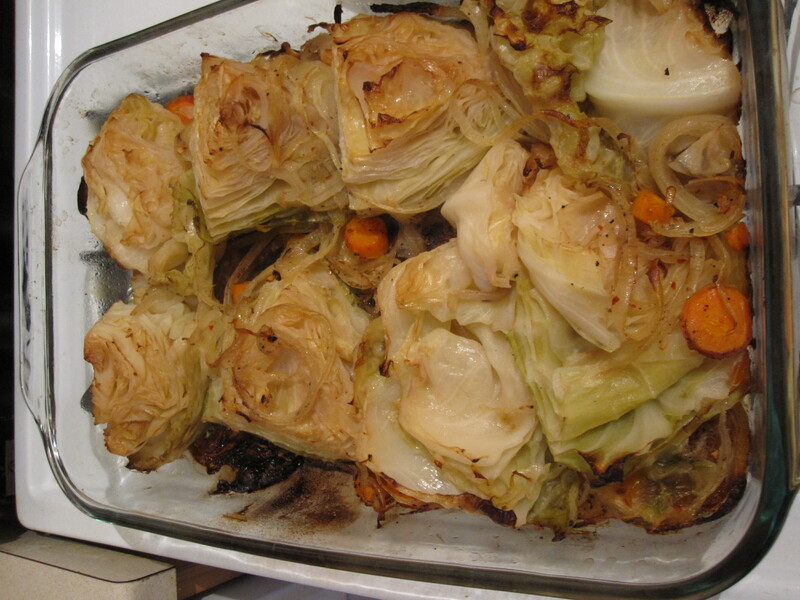 We also quartered some cabbage heads with onions and roasted them with some oil, vinegar, carrots, and spices. 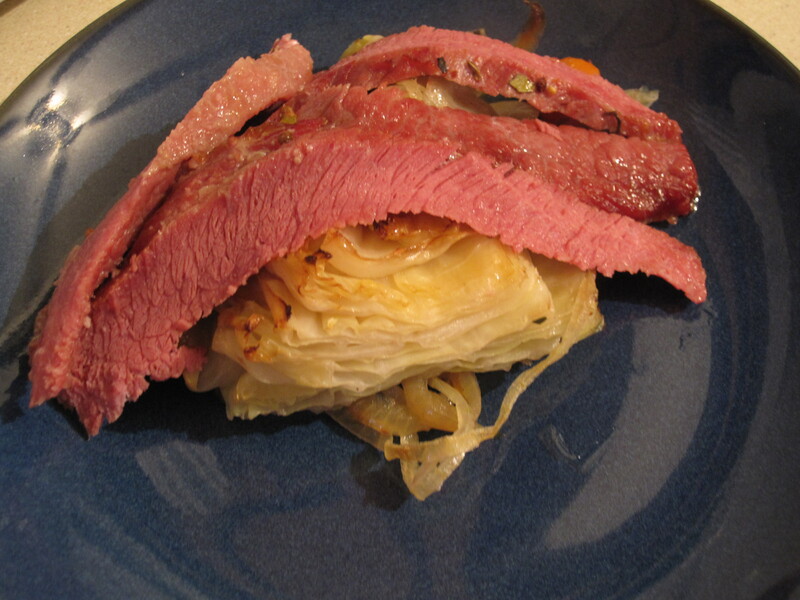 Layer the sliced corned beef on the cabbage. This entry was posted in Beef and tagged carrots, corned beef, corned beef and cabbage, roasted cabbage and onions, rotisserie. Bookmark the permalink.